We’re giving you a break on Tax Day. 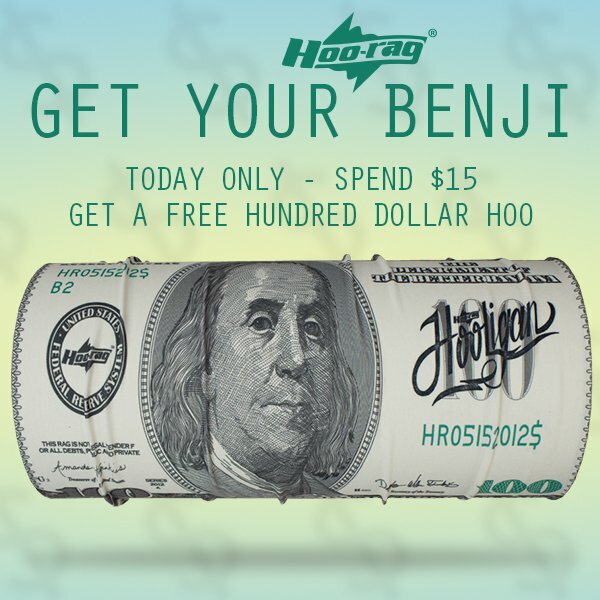 Every order of $15+ at www.hoorag.com will include a FREE Hundred Dollar Hoo-rag! Do not add the Hundred Dollar Hoo-rag to your cart, unless you’d like to purchase it! It will automatically be added to all qualifying orders when they are shipped.